Serguei is a proficient EFT practitioner who first started using EFT in 2005. Serguei has also been trained in and worked in the areas of conflict resolution, telephone counselling, and coaching and is an ABNLP-certified hypnotherapist and NLP (Neuro-linguistic Programming) practitioner. 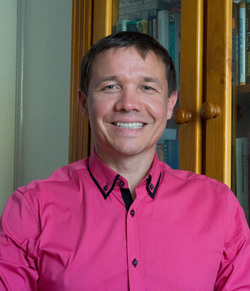 Serguei has been interested in helping people to overcome emotional, mental and spiritual blocks since a fairly young age when he first came across self-development literature and experienced hypnosis. He spent seven years of his life as a student monk, studying, meditating and serving at over a dozen monasteries in Russia, Latvia, Australia, New Zealand and India dealing with thousands of people. After leaving monastic life Serguei has experienced years of working in high pressure corporate environments, before returning to his primary calling of helping people directly.